Assyrian Civilian Christians have been wounded in the fighting between Sunni Muslim Kurds and Shia militias/Iraqi Army forces in the village of Teleskof in the Assyria Nineveh Plain. The Assyrian Christians who had started to return to Teleskof after the Mosul fight were greeted by mortar rounds landing in the market of Teleskof earlier today. The shelling was a result of the fighting between Sunni Muslim Kurds and Government of Iraq (GOI) units. Kurdish commanders who decided to battle the Iraqi Army in the city would have known in advance that the fighting would put Assyrian Christian civilians at risk. This incident casts doubt on the sincerity of the Kurdish claims that the Kurds are the protectors of the Assyrian Christians in Iraq and that Assyrian Christians support Kurdish aspirations for statehood. The Assyrian have currently fled the city in mass for the relative safety of the village of Deshata Qutane and the city of Dohuk/Assyria Nohadra. This will be third time since 2014 that the Assyrian Christians have been forced to flee Teleskof because of fighting in the area. 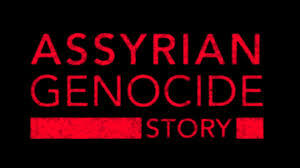 Until the world polities begin advocating for an Assyrian State/region in a federalized Iraq in accordance to the Iraqi constitution the Assyrians will never feel free and or safe under the GOI and or the KRG and the Assyrian Genocide story will continue in Iraq.